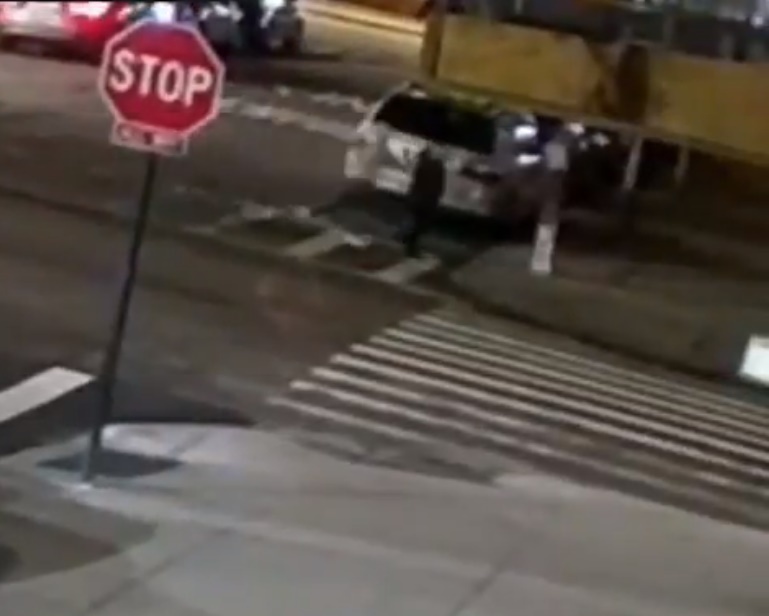 Brooklyn, NY - Once again, a Chasidic youngster has become the target in Williamsburg, with a boy pushed to ground in an act of random violence. Officials at Williamsburg Shomrim said that the incident took place at approximately 6 PM tonight at the intersection of Throop Avenue and Walton Street. Surveillance footage obtained from the scene shows an unknown individual dressed in a light colored hoodie and shoes and wearing dark pants running across the street towards his victim, turning away as two smaller children pass by and then running after the victim again as he crossed the street, pushing him to the ground as he stepped onto the sidewalk before running away. The suspect was with a group of approximately ten teens just before the incident occurred. A police report was filed and an investigation is underway. "Unknown perpetrator" equals savage from the jungle! these perps look no older than 12, which means under DA Gonzalez they walk off scot free, ironically Satmar was his number 1 backer since he made a deal not to prosecute adults that molested children. Where is the DA? When the shomrim allegedly beat someone, the DA threw the book at a poor innocent person. To #4- The Shomrim hooligans beat someone who was not perpetrating a crime; he was walking down the street, and was attacked by two Yiddisha hoodlums. They beat the poor guy so badly, that he permanently lost the sight of one eye. What is worse, they got away with it. However, if it had been the other way around, you would be screaming for justice; the hypocrisy on this site, is incredible, and astounding! A shanda!